Titan II missile in its underground silo at the Titan Missile Museum, Sahuarita, Arizona, USA. This is the only remaining missile of 54 that were stationed across the US ready for launch against Russia during the Cold War. This silo became operational in 1963 and was deactivated in 1982. 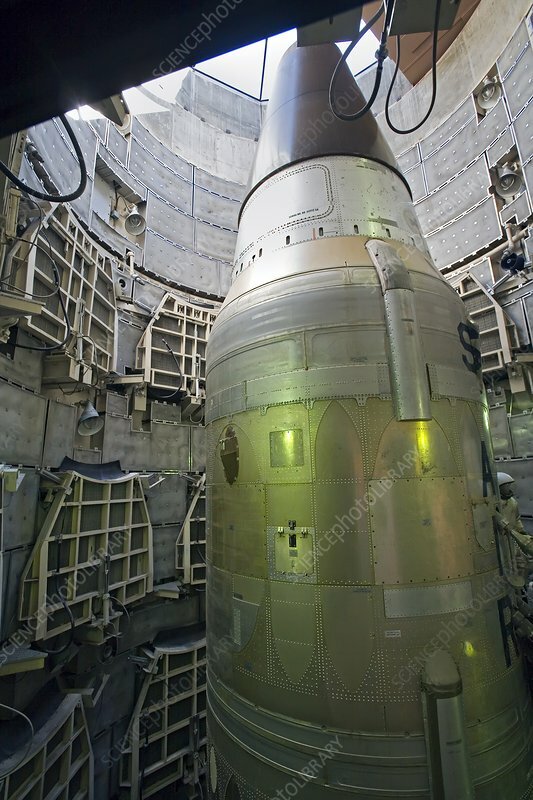 With the missile disarmed, the silo and adjacent control room are now open to tourists.